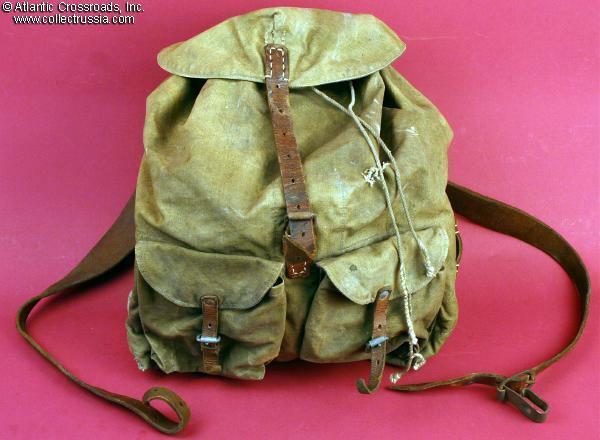 M 1938 canvas rucksack, circa 1939/40, version with leather shoulder straps. 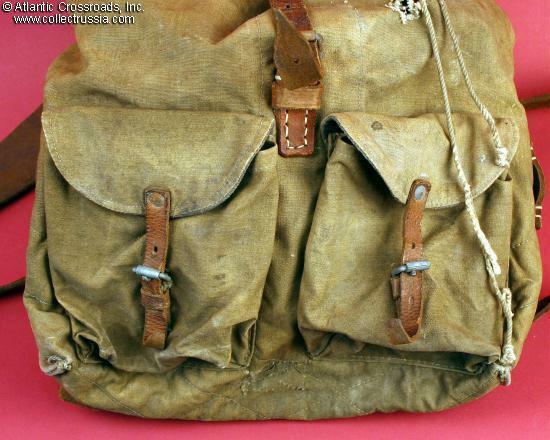 Olive canvas, complete with most major leather slings, straps and apparently the original drawstring under the top flap. 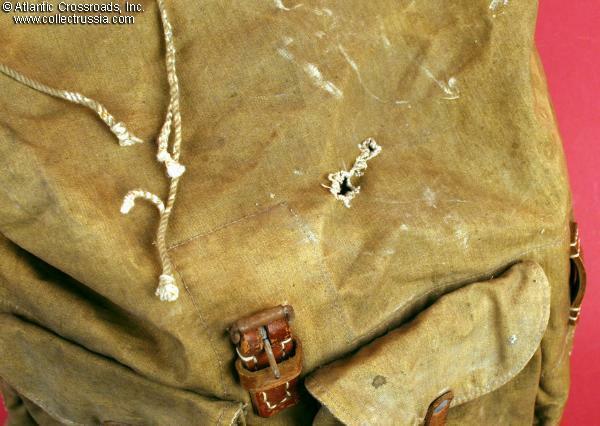 It appears that the original owner removed four of the original leather tabs on either side close to the bottom to modify the rucksack to his own tastes (our guess is that they may have caught on things the soldier brushed past). With the exception of one replaced loop, almost all of the metal hardware appears to be original. Good condition, perfect for display on a manikin. 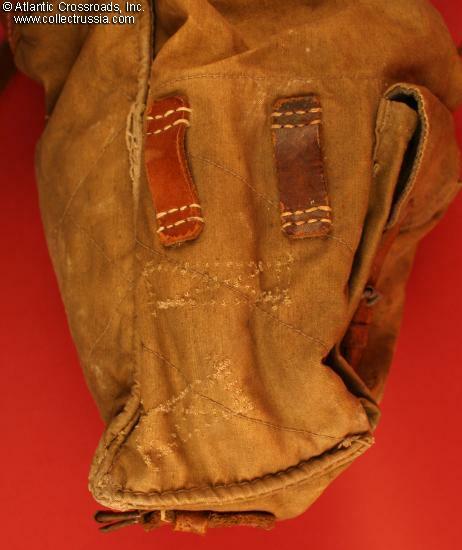 One hole (visible in our photo) on the top near the drawstring area. The leather is complete albeit somewhat stiff. One steel loop replaced with an aluminum one. 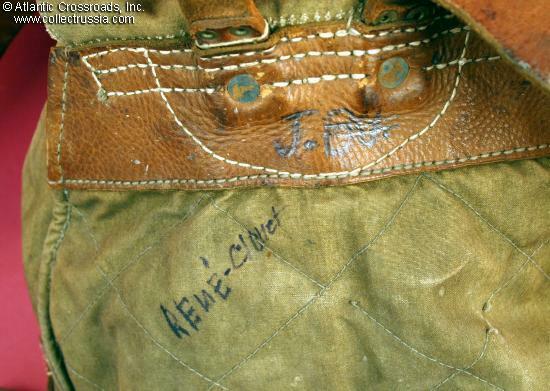 Close to the point where the leather shoulder straps fasten to the rucksack are the name of a French owner and the penciled initials of another apparent owner - neither would be visible were the rucksack displayed on a manikin or "pocket side" out on a shelf. 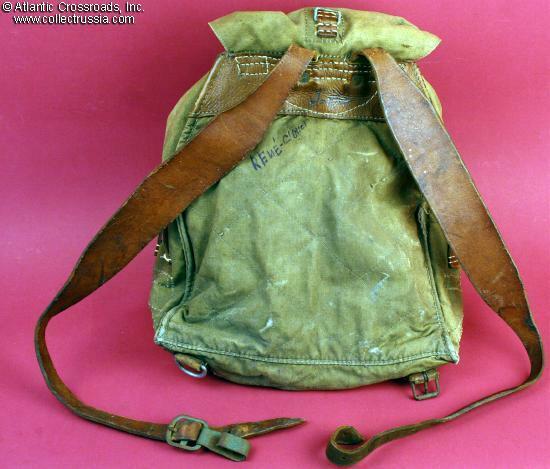 See pages 62-63 in the classic "Field Equipment of the Infantry, 1914-1945" by Robert Fisch, probably the most authoritative book ever written on the world's field gear, for the basic information about this model of rucksack.